Our wood is molded in three sizes. Though individual tastes may differ, we suggest that the Narrow (1″) framing is most suitable for panels up to 4 square feet and the Wide (1-3/8″) framing for up to 10 square feet. There is also Extra Wide (2″) available which works great for any size panel. All product sold ready to finish. Stocked in Oak, but also available in Walnut, Maple and Cherry. All domestic hardwoods including Walnut, Maple, and Cherry are quoted separately, at market price. Email or call for a quote. 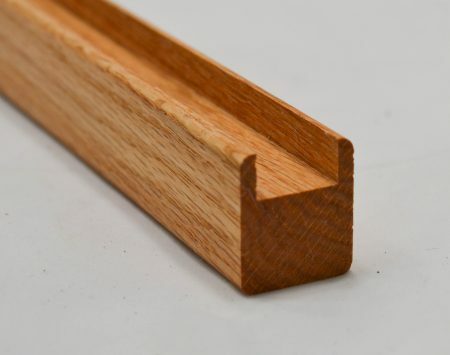 Glass groove sizes are available in two widths in the narrow 1″ and wide 1-3/8″ framing; 5/16″ or 3/16″. The extra wide 2″ framing is only available in 5/16″ width. All grooves are 3/8″ deep. Shorter lengths in other wood species available here. The shape is classically simple. The glass should be the subject matter of the completed panel. *Please note, there is an extra shipping charge on all lengths 48″ or longer. 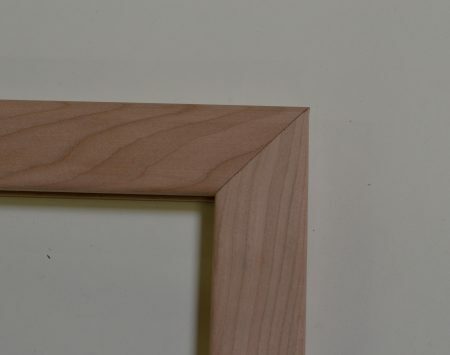 To make your own frames, cut the wood to size using the miter allowance. 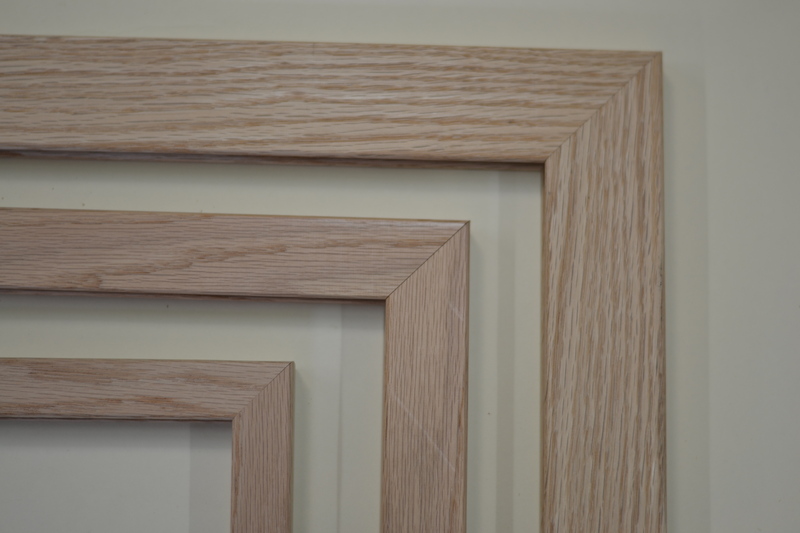 The miter allowances for each size frame are listed below. Add this amount to the size of your glass panel in order to calculate the length of the outside edge of your frame. Mark the wood and cut the miter. This is a rough guide; always remeasure each time you make your cuts. For more framing tips, click here!